I always thought Bob Smith would be a good judge. Many years ago, our families would get together every Memorial Day for a softball game at Max Gitter’s farm in Columbia County. The teams (called the Hotdogs and the Hamburgers) were comprised of players of all ages, and the game was very competitive. Bob was always the umpire. If you were an adult with some softball experience, you might only get two strikes, but children never struck out. If the count went to strike two, there was a strike two-and-a-half, and then a strike two-and-three-quarters, and then an infinite number of fractions after that until the kid got a hit. Bob was judicious to a fault. 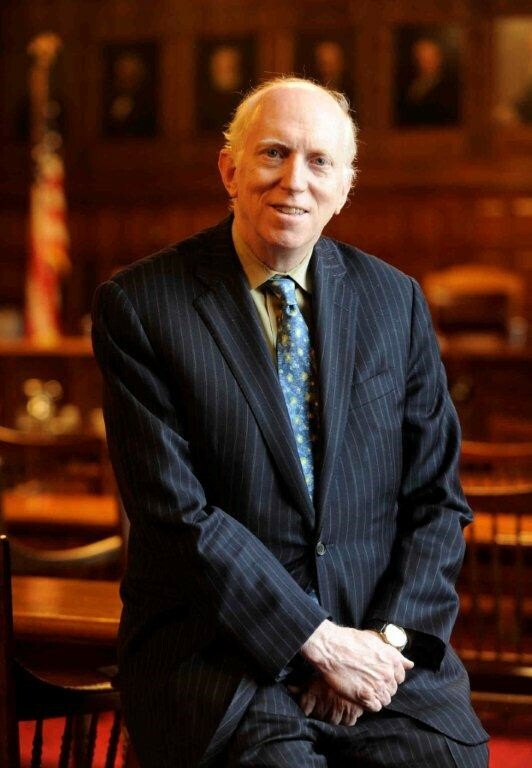 On December 31, 2014, Bob stepped down after 11 years as a judge on the New York Court of Appeals. Having reached the Court’s mandatory retirement age of 70, he left the bench, but he has not left the practice of law – he is now a partner at Friedman Kaplan Seiler Adelman LLP. We sat down with Bob recently to discuss his experience on the bench and life generally. Robert Sherlock Smith was nominated by Governor Pataki in November 2003 to begin a term on the N.Y. Court of Appeals starting January 12, 2004, and he generally was viewed as one of the most conservative judges on the Court. He wasn’t always that way, however. Bob grew up in Massachusetts, the child of classic Franklin D. Roosevelt liberals. He was a card carrying Democrat for a long period of time but began a gradual shift from liberal to conservative when he travelled with his mother to the Soviet Union in 1961. He was horrified by what he saw – the Soviet Union was not the workers’ paradise that he had expected; “it was not a free country at all.” He went to Stanford for his undergraduate years, where he was exposed to conservative thought, but he continued to maintain his credentials as a Democrat while attending Columbia Law School, where he was treasurer of the FDR/Woodrow Wilson Democrats of the 67th AD North (although he allows that he was “in the right wing of that group”). Bob considered entering politics for a period of time, but that thought quickly ended when he was defeated in a race for the presidency of by a group including (now Representative) Jerrold Nadler. Bob continued to call himself a Democrat until 1984, when he cast his first Republican vote. Bob began his legal career at Paul, Weiss, Rifkind, Wharton & Garrison working for Edward Costikyan, who was well known for having defeated Carmine DeSapio as chairman of the New York Democratic Committee and ending Tammany Hall’s dominance over New York City politics. They represented the City of Rye and other Westchester County towns in a case against the Metropolitan Transportation Authority, which wanted to build a bridge from Westchester to Oyster Bay. They argued that the MTA was unconstitutional because it was not created by a special act of the Legislature. They lost in the Court of Appeals, four to three, but continued to litigate on other grounds and the bridge was never built. Bob also worked closely with Liman, whom Bob described as “incredibly intense – he always had 17 things going on at once.” He was such a forceful personality that, even when he was wrong, “he could overwhelm you with arguments to convince you he was right.” Bob credits Liman with teaching him how to cross-examine. His advice was “figure out what the guy has to give you and make it very tight.” As a result of Liman’s advice, Bob says he has a tendency to go very fast in cross-examination, which he thinks is good. Bob recalls working with Liman in the 1970s on a case involving the famous salad oil scandal, where the senior associate representing a co-defendant was his future colleague, Judith Kaye. We asked Bob about the propensity of Paul Weiss to turn out so many judges. In addition to Bob himself, Judges Lewis Kaplan, Ed Korman, Coleen McMahon, Allyne Ross, and Sidney Stein all came from Paul Weiss – not to mention Supreme Court Justices Sonya Sotomayor and Elena Kagan, who were summer associates there. He suggested that Paul Weiss always has had “a political feel” and attracted people who like the law, although he quipped that the Presidents do not seem to be hiring from there lately. 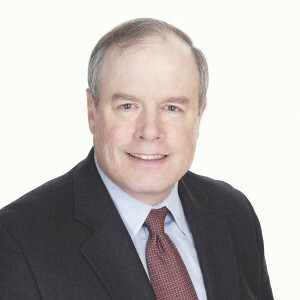 As a partner at Paul Weiss, Bob was known for his work on many complex commercial cases, including a famous case in which the Air Line Pilots Association successfully litigated its right to take over United Airlines, only to fail when it could not get financing. Bob is perhaps best known, however, for his work on death penalty cases. He argued two death penalty appeals in the Supreme Court, winning one and losing one. He described death penalty cases as “an incredibly fascinating experience” that is “stimulating both intellectually and due to the stakes,” in part because “you are dealing with basic moral questions that are unanswerable.” In the case Bob lost, the defendant swore that he was innocent to the end. In the case Bob won, there was no doubt about the guilt of the defendant, Penry, but the question was whether the state could execute a mentally retarded man. In Penry’s initial appeal, the Supreme Court held that it was permissible to execute a retarded man but remanded to the trial court because the jury was not instructed to consider retardation as a mitigating factor. After a second trial, Bob successfully argued in the Supreme Court that the jury charge still was inadequate. During the third trial, the Supreme Court ruled in Atkins v. Virginia that it was unconstitutional to execute a retarded person, but the jury found that Penry was not retarded and sentenced him to death again. That sentence was overturned by a Texas appellate court after Bob was nominated for the Court of Appeals, and Penry now is serving a life sentence without parole. Bob worried that his experience in death penalty cases might slow down his confirmation hearing, but a death penalty case was pending in the N.Y. Court of Appeals at the time, and Bob believes that “the Republicans assumed that a weak-kneed Republican was better than none at all,” so he was confirmed. That case turned out to be unimportant, but in another death penalty case decided in Bob’s first year on the bench, People v. LaValle, the Court of Appeals found the death penalty statute as written was unconstitutional. Bob wrote a dissent, arguing that the offending provision in the statute could be severed and the death penalty left intact, which surprised some people who thought that Bob opposed the death penalty. Several years later, the issue arose again in People v. Taylor, where the defendant had been sentenced before the Court had decided LaValle. In this case, Bob was the swing vote, and he surprised people again by voting to overturn the sentence, which made him a “liberal hero.” To this day, Bob does not volunteer whether he is in favor of or against the death penalty. Bob’s most famous opinion is Hernandez v. Robles, where he decided that there is no right to gay marriage under the New York Constitution. He wrote then, and he thinks now, that the legalization of gay marriage is an issue to be decided by the legislature, and the New York Legislature legalized gay marriage in 2011. Bob was somewhat surprised by the outrage that was expressed to him over the decision, and he noted that “some of my gay friends quit me as a result.” He told his law clerk that his decision would probably be the subject of “the first sentence of [his] obituary,” but he hopes that no judge would change his or her mind about a case due to the publicity surrounding a case. Bob wrote more than 300 opinions while he was on the Court, about 200 of which were majority decisions. When we asked him about his favorites, he said he loves them all and confessed that one of his “guilty pleasures” is to reread his own decisions. He did offer that dissents were easier to write and more fun. A judge is less worried about unintended implications when writing a dissent than when everything the judge writes becomes the law. One of his favorite dissents was his opinion in Bordeleau v. State of New York, where the Court upheld state subsidies for private businesses even though a provision in the New York Constitution expressly prohibits it. He observed that subsidizing private business “disregard[s] both received economic teaching and common sense,” and he suggested that he was “entitled to be annoyed” because the statute in question “commits the precise folly the provision of our Constitution was written to prevent.” In another case in which Bob joined a dissent by the late Judge Theodore Jones, the Supreme Court reversed and overturned a state law giving prison guards civil immunity from Section 1983 suits, thereby vindicating him. Bob feels that the N.Y. Court of Appeals is a “great court with a great history.” As a court of last resort, it has responsibility for settling New York State law. It is very “collegial,” and the seven judges who sit on the Court genuinely like each other. Bob enjoyed sitting with the same six people on every case, and he specifically characterized Judge Victoria A. Graffeo as a “great lawyer” and “great judge” who sometimes caused him to change his mind about how he would decide a case. Conferences at the Court were sometimes marked by lively debate. For the conferences, one judge would be assigned at random to report on the case, and the judges would then go around the table, speaking as long as they wanted. The most junior judge would always start the discussion, presumably so that judge would not be intimidated, but Bob stated that he had never known a junior judge to be intimidated. Summing up his experience on the Court of Appeals, Bob said he loved being a judge. “Nobody yelled at me – what’s not to like?” He noted that he is treated with somewhat less deference these days, but he enjoys being back in private practice. As before, he plans to take on a variety of matters and is currently spending a lot of time providing expert opinions on New York law for foreign courts. He cannot appear before the Court of Appeals for two years, but he hopes to be busy in the many other courts that proliferate in New York. When he can no longer practice, Bob plans to write. We suspect that Bob will be very successful because he is that rare person who combines hard work and intelligence with a great sense of humor and an ability to connect with people. Like Simon Rifkind, he has an uncanny ability to turn a phrase, and like Arthur Liman, the thoughts and ideas come tumbling out until they cannot be resisted because they are overwhelming. Bob is a lawyer’s lawyer and an unpretentious person – a great guy to hang out with. As successful as Bob has been, his children may well turn out to surpass him. His daughter Rosie is an associate at Arnold & Porter and his son Emlen is a classics professor. Bob’s son Ben is a well-known reporter who wrote for Politico and is frequently quoted during presidential campaigns. He is now the editor-in-chief of BuzzFeed, an internet news media company. Ben has come a long way from being the kid who needed at least six strikes before he could get a hit.